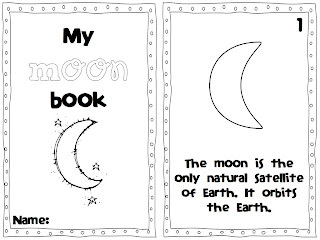 A Day in First Grade | Blast Off to the MOON! We go back to school next week and will jump right back into learning. 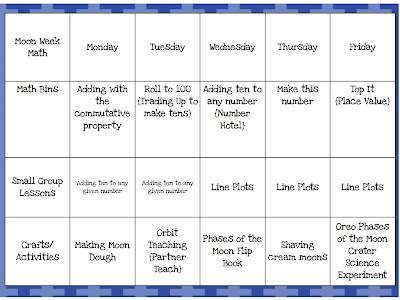 Next week we will be blasting off to the moon!! I’ll be TOTALLY honest. I was NOT excited about teaching this until I wrote my lesson plans. 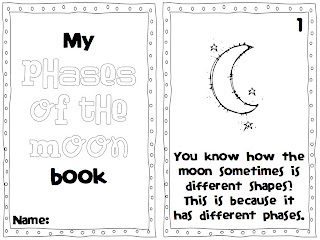 Now I am SUPER PSYCHED to teach all about the moon. I also wrote two readers for my students to read during our guided reading small group time. As a gift, they are here for you, for FREE!! 🙂 I really hope you and your students enjoy them! We already love this song so we will definitely keep singing it this week! 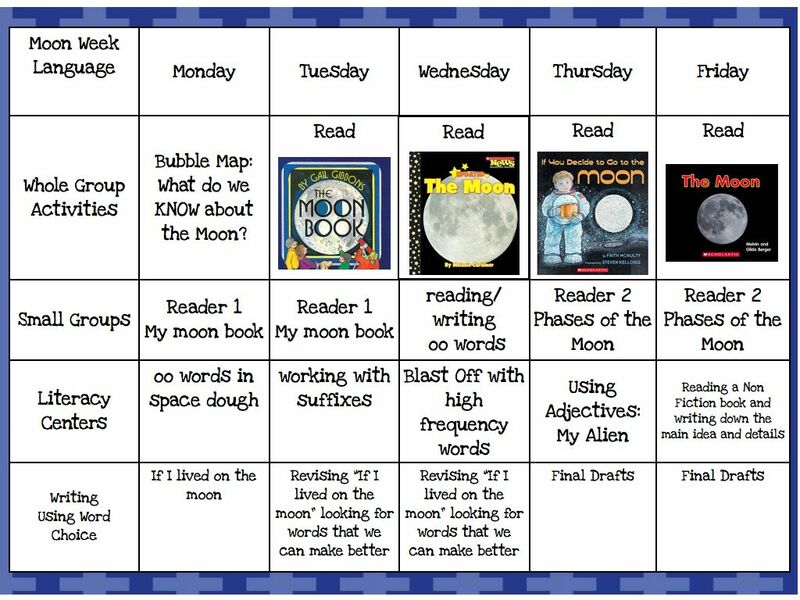 Also, since it is the first week back we will create a few crafts, make moon dough, a fact flip book and create aliens in our literacy centers. 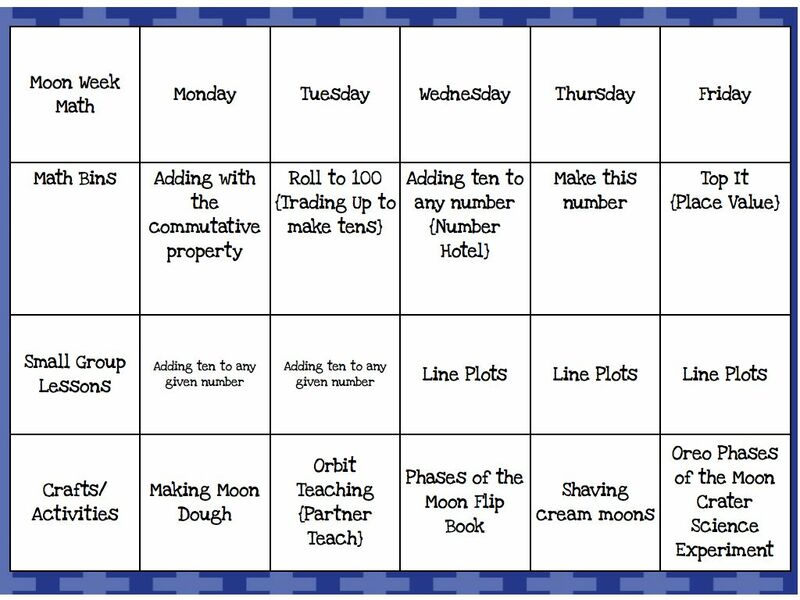 On Friday not only will we make edible phases of the moon with Oreos but we also will discover what a crater is in a fun hands on Science experiment. On p. 3 of the book you wrote, “its” is possessive, not a contraction, so it shouldn’t have an apostrophe. Thanks for sharing it. Hot dang, good catch– I’ll upload a new version right now! 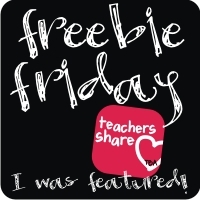 This is soo wonderful that you are sharing these ideas! How fabulous! 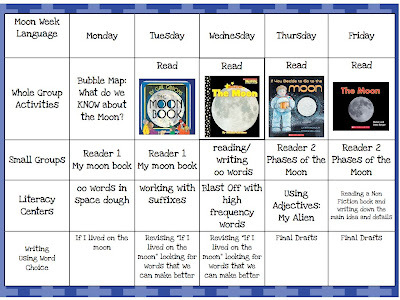 I am super impressed how organized you are with your lesson plans! How are you doing on the running? I haven’t started yet! I plan to but we have had something EVERY night! I just can’t in the morning! I am NOT a morning person!! 🙂 I am LOVING the random acts! Thank you so much for the great ideas! We have a story coming up in a few weeks that these ideas will perfect for…Happy new year to you too! Do you have the recipe for the space dough? I am dying to do this!!! I’m currently a Junior at Ouachita Baptist University and am in a Elementary Science class, and this helped me so much with writing my Outer Space unit!! You are a rockin teacher!! Thank y’all! !